Join us with Wendy Crispell as she leads these fun and interactive NYC Wine tastings! 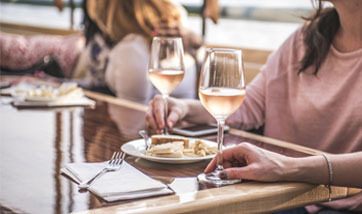 Whether you are interested in wine and cheese or making the perfect cocktail you will be sure to love these fun tasting events aboard our classic yachts. Jump into the wonderful world of wine either aboard the Yacht Manhattan or the Yacht Manhattan II and learn what Wendy has to offer. Wendy has been hosting Classic Harbor Line’s wildly popular NYC Wine and Cheese tastings for 10 seasons. Wendy’s belief that learning about wine should be fun, and accessible to everyone, leading many participants to return year after year. In addition to holding multiple certifications in wine, Wendy is also a certified cheese professional, award-winning culinary writer, known for her world-renowned cocktail creations and is a French trained chef. She has traveled the world to get up close and personal insight into the culinary culture, traditions and trends in the world of food and wine. What is the best date idea in NYC? How about a Wine and Cheese pairing on a classic yacht? Looking for a boat ride to see the sights of our gorgeous city without a guided tour? How about a cocktail cruise that lets you watch the sun dip behind the Statue of Liberty? For visitors and locals alike, this wine and cheese class or cocktail cruise is great for a group of friends, a magical date or relatives from out of town. Become a regular and learn the ins and outs of all there is to know about Wine, Cheese and Cocktails with the wonderful Wendy Crispell! Wendy’s lifelong passion for all things food and drink started with the gift of her first cookbook, ‘The My Learn to Cook Book’, at the age of five. With the help of her Mom she made Baked Alaska, the most complex recipe in the book. From that day on her interest was sparked! Wendy’s list of accomplishments include multi award winning mixologist, chef to celebrities, cheese judge at Concours Agricole in Paris, food and beverage freelance journalist for international publications, author of Hudson Valley Cider Guide, nominee of prestigious Digital Wine communication awards and accomplished food blogger. She has studied in France, Germany, Turkey, Switzerland, Italy, Hungary, Ireland, England, Czech Republic,Greece, Ireland, Spain and Bulgaria. Yearly visits to the world’s vineyards, cideries, distilleries, dairies and chefs has has led to a vast knowledge of global cuisine and culture. With more than twenty years of experience in virtually every facet of the culinary industry Wendy’s creativity and talent have been recognized by Tasting Table, Forbes Magazine, Edible Manhattan, Sunday Parade, New York Post, Wine Spectator and USA Today. Forbes Online ranked Wendy’s wine and cheese events as one of the best things to do in NYC. Join her on one of her regularly scheduled events or contact her to plan your own! 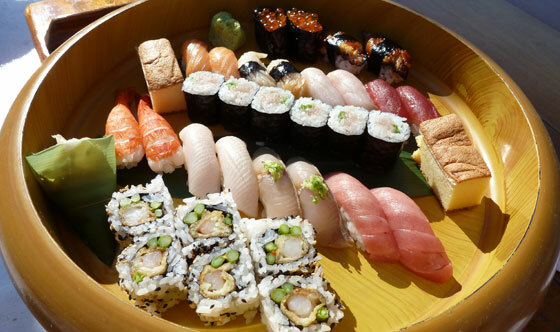 This light dinner sail features a most seaworthy cuisine: sushi, and not just any sushi, but Iron Chef Morimoto’s sushi! No sushi meal would be complete without sake, and this sail does not disappoint, we offer a range of cool, refreshing sake served on the decks of New York City’s most elegant schooner. The menu includes a sampling of sushi perfect for a one-of-a-kind sunset sail — 9 sushi pieces and 1 roll — served in 2 platings, paired with 4 sake flights, and all while we set sail for the New York Harbor! Jump aboard this classic 1920s yacht and learn to make centric cocktails as you cruise around lower Manhattan from the open decks of one of our classic yachts! Learn fun classic cocktails that were inspired by Gotham! Try the Bronx, Brooklyn, Harlem shake and of course the good old Manhattan. 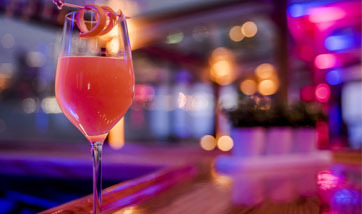 You will have up to five different cocktails on this cruise. How about some classics with an artisan spin? Wine & Cheese Workshops: Find Your Place in the Glass! You can carefully select wines from small family run or boutique producers to express the terroir of the region being represented. Years of experience, education and constant tasting help to select wines of exceptional value, quality and taste. Cheeses are ONLY artisan or farmstead cheeses sourced from NYC’s finest shops or small local dairies. 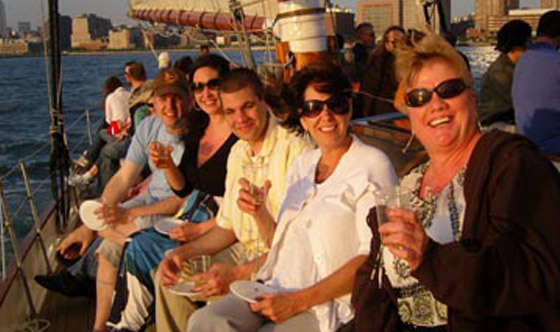 Led by NYC wine pro Wendy Crispell (a certified wine and cheese educator) our wildly popular Wine and Cheese cruise has been featured in Wine Spectator, Time Out NY, Edible Manhattan, Gastronomista, Pasta’s Kitchen, Two plus Two review and The New York Post. Taste the finest local beers and craft cheeses curated by Wendy Crispell, a craft Beer and Cheese mecca! Grab your beer-lovin' buds and join us for this cool summer cruise featuring an educational beer and cheese pairing!